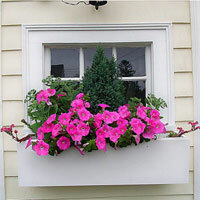 Flower Window Boxes is a US-based manufacturer of state-of-the-art window flower boxes, deck railing flower boxes and outdoor planters for residential and commercial use. 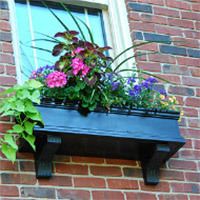 We build our window boxes, planters and window shutters in a variety of styles and sizes to fit various home exterior designs. 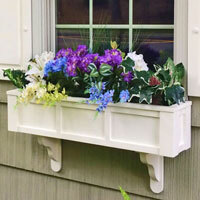 Our main line of products are PVC window boxes that boast a solid, durable construction and require minimum maintenance due to their versatility and optional self-watering reservoirs. 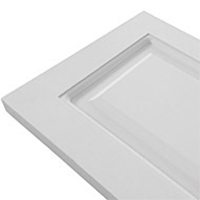 All of our products are made to last and backed with a lifetime warranty. 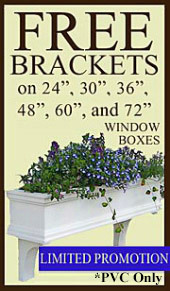 "The last windowboxes you will ever have to buy!" 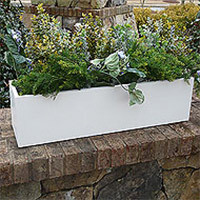 All of our custom window boxes are made from a no rot architectural grade cellular PVC called VERSATEX that give our planters a matte finish which scatters light rather than reflecting it. 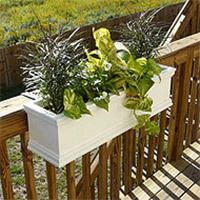 The end result is a planter that looks and feels like wood rather than a plastic. 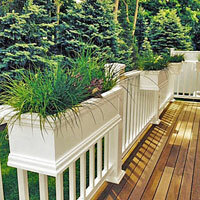 NBC's The Today Show, HGTV and Ask This Old House! Click the picture to read more! 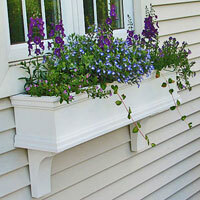 At FlowerWindowBoxes, we not only specialize in flower box products, but also planter products. 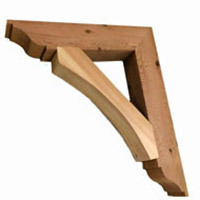 All of our products come in virtually any length up to 16 feet and two sizes. 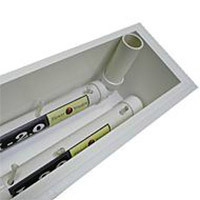 Our standard size boxes are designed to accommodate almost any flower. 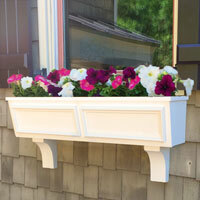 Our XL sizes are taller and deeper to provide more root space for plants making them the ideal sized window boxes for plants. Everything is fabricated to order with the exception of our select sizes which we keep in stock and offer promotions on from time to time. 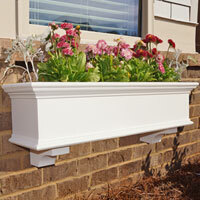 PVC flower boxes, planters, and deck rail planters can all be custom made to meet your specs or to match your home. 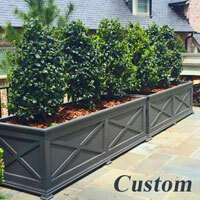 We can also custom fabricate or even replicate existing flower boxes or structures on the home. 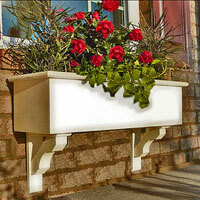 Go direct with FlowerWindowBoxes and get quality products at direct rates. 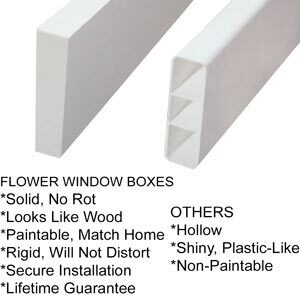 We provide standard and custom PVC window boxes at unbeatable prices and we get them delivered to you fast - that's our guarantee. 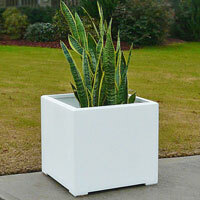 Click to see all of our freestanding planters. Need Help? 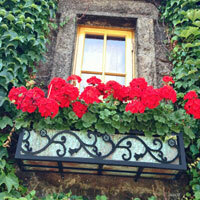 Call customer support at 888-505-7715 or email us at Sales@FlowerWindowBoxes.com. We make custom items and everything ships out in 1-3 business days.